In 2012, I had a lot of competing priorities, and sadly I had to stop blogging for a while. However, I never stopped reading, and I have plenty of great books to share with you. I’m still pretty busy, but I’m trying to make my blog a higher priority this year. I miss interacting with all of my bookish friends, and even thinking about blogging regularly again has put a smile on my face. So what, exactly, should you expect from Melody & Words this year? Reading and reviewing books is still very important to me, so my reviews and top-ten lists of books won’t go anywhere. Since I’m still chugging through classes at Johns Hopkins (and loving it! ), I’d also like the blog to become an outlet for the writing advice that I’m gleaning from my professors, as well as copyediting and proofreading tips that I’ve discovered throughout my career. In addition, I’d like to include more posts on my travels, which should be fairly extensive this year, and I’d like to have more posts on cooking–both recipes and cookbook reviews. I’ve enjoyed experimenting with video, and will try to continue my video reviews and mailbox series. In addition, I’d like to try out photo essays. But always, I’ll return to my first love: reading. Book challenges continue to be a fun way of meeting my reading goals. 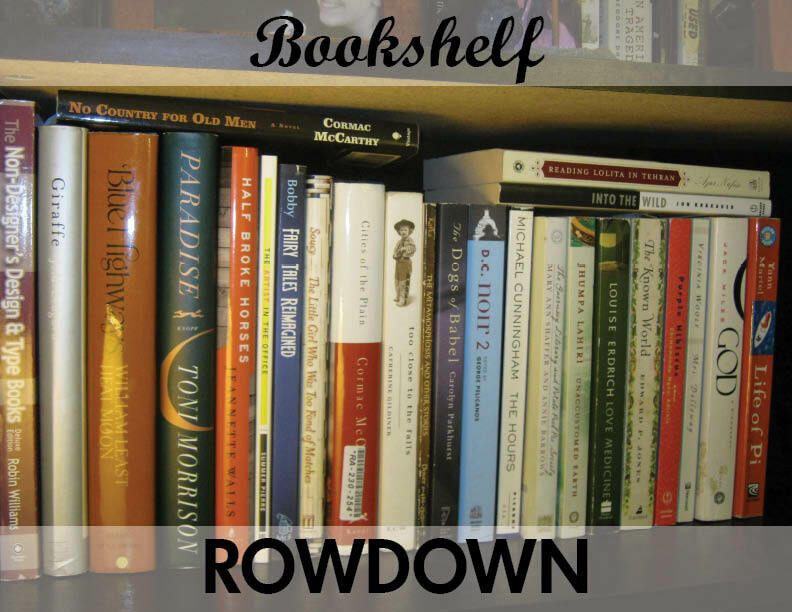 I will be renewing my annual (but as-yet unfinished) challenge to read 25 books from my personal collection, Bookshelf ROWDOWN, and I also plan to participate in Orange January–more on that later. Whoa, whoa, whoa. Whoa. Blogging on Sunday? Isn’t that some kind of internet heresy!? But I’m excited for your excitement. May 2013 be the bountiful blogging! Wow, you’re right! Thanks for the heads up. “Women’s Prize for Fiction” sounds more straightforward, even if it is less colorful. Which of the winners or nominees catch your eye?